*Disclaimer: I received this wine as a sample in order to participate in a Wines of Chile online tasting. In what might have been my favorite wines of Chile tasting yet, a box of Sauvignon Blanc arrived at my doors. What a way to my heart, I love Sauvignon Blanc all the time, but especially in the dregs of the DC spummall. I believe we had 8 bottles that night. 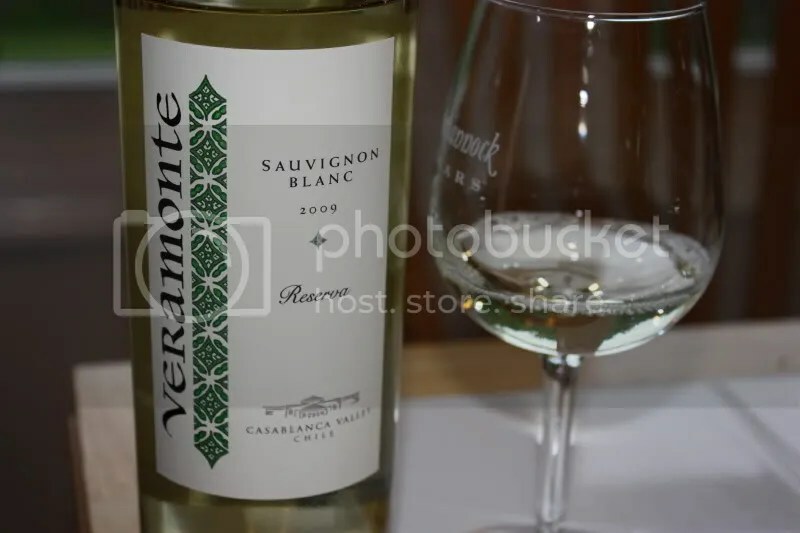 A perennial favorite of mine came in the box-o-fun, the 2009 Reserva Veramonte Sauvignon Blanc. I’ve written about this great value wine before, and continue to purchase it year after year. In fact, I had plenty of it on hand for my birthday party just a couple weeks ago that I picked up over at the Total Wine and More! The Veramonte had a screw cap closure, clocked in at 13.5% alcohol by volume, and retails for around $10. 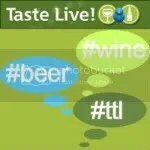 On the nose I found citrus, lemon, lime, green apple, and tropical notes. I wrote in my notes that I thought the nose seemed “spritzy.” By that I generally mean fresh and lively. In the mouth I got more citrus, lime and lemon mostly, and more green apple. As always, the wine had racy acidity, but not the mouth-puckering acidity that I hear some folks complain about in certain Sauvignon Blancs. I love this wine year in and year out. I love this wine. I am a red wine drinker to the core, but this summer I promised I’d find some whites to love, and this was one of ’em! I recently had it for my birthday too — crazy! — and a few weeks before that, had it with fried mac & cheese at one of my favorite local restaurants, and it made a very good match. And yeah, the bonus is that it’s very well-priced. 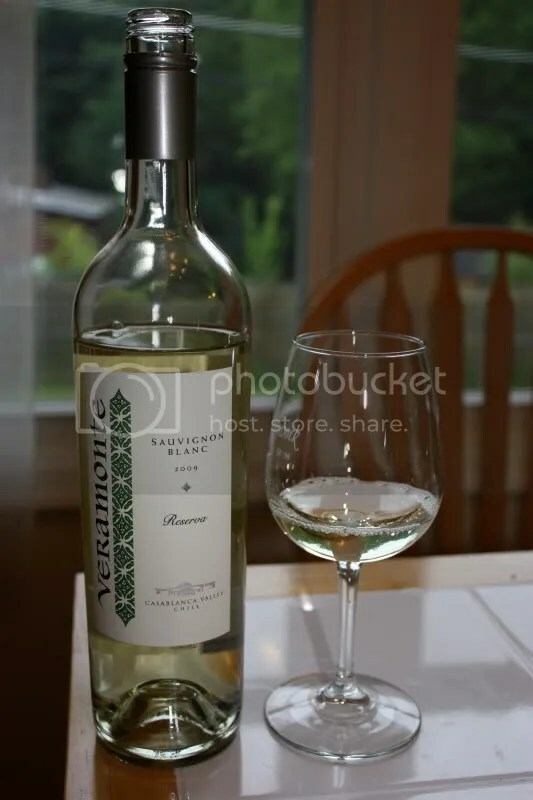 It’s a nice enough wine, but I’ve never been able to get into the softer sauv blanc style that seems to dominate the South American offerings. The crisper New Zealand SBs hit the spot for me. I also really like the basic Benziger SB which is available on their fall case special through November for nine bucks a bottle. Nice blog. I appreciate the Norton content. PS: I see that you’re a fan of Viognier. Have you tried Horton’s? They’re local to you and last year’s vintage was a stellar wine. I haven’t tried the current release.